Home has a mining tutorial! Netizen Collected Earth Coin Mining Mine Pool Daquan 2019, if there is not complete, please join the QQ group 658429196 to submit! Develop the earthcoin overseas netizens to develop propaganda power! The earthcoin will get better and better. The understanding, the accumulation of emergency participation in environmental protection, and jointly protect the green planet. EarthCoin, referred to as EAC, advocates the concept of green, environmental protection and love of nature, totaling 13.5 billion. Is a global cryptocurrency based on the scrypt algorithm released on December 20, 2013 in Toronto, Canada. Secret currency has the potential to change the world. The attraction of the Earthcoin clearly comes from its marketing experience, visual eye candy and widespread recognition. . Since its birth more than five years ago, it has become a global decentralized digital currency with a speed of packaging. Special currency and Litecoin and ETH. Earthcoin are willing to grow together with pure POW coins such as Bitcoin and Litecoin. Welcome to join Bit.cc, the BitTimes of the First Exchange of the Global Village. Drive [RV] to use the global digital currency [EarthCoin]. The Wandering Earth uses the Earth Village General Digital Currency Earth Coin EAC! The earth coin global confirmation time is as fast as 1 minute, and the transfer speed is super fast. Earthcoin, or EAC, was born on December 20, 2013. Based on the Scrypt algorithm, the name is loud and the brand value has unlimited potential. The total amount of the earth coin is constant at 13.5 billion. After several years of precipitation, the actual stock is less than 9 billion. The concept of the earth coin is in line with the future development trend: green, environmental protection, and love of nature. Let every work on earth gain value. The current value is extremely low, welcome everyone to understand the earth coin, holding the earth coin. Earth Coin (EAC) is a (digital currency) blockchain that was born in Toronto, Canada on December 20, 2013, with a total of 13.5 billion. Committed to sustainable and fair development, people’s goods, freedom and forward-looking, and strive to become a universal virtual digital commodity in the global village. Quantify the earth’s resources! Calculate global labor value standards! Earth coins will prosper every corner of the planet! BJS will open the Earth Coin (EAC) recharge business at 20:00 on February 25, 2019 Beijing time. The EAC/CNYT transaction will be opened at 15:00 on March 1, 2019, and the withdrawal will be opened at 15:00 on March 3, 2019. business. EAC is committed to sustainable and fair development. Since its birth in 13 years, it has continued to participate in domestic and international animal protection, poor children’s education, humanitarian international assistance and other modes, forming a good community environment, and gradually accelerate the promotion of education, The exploration and application of environmental sustainability, the Internet of Things, the international co-ordination of energy and carbon emissions, and mutual financial development. Risk Warning: Digital assets are innovative investment products, and price fluctuations are large. Please rationally judge your investment ability and make investment decisions prudently. 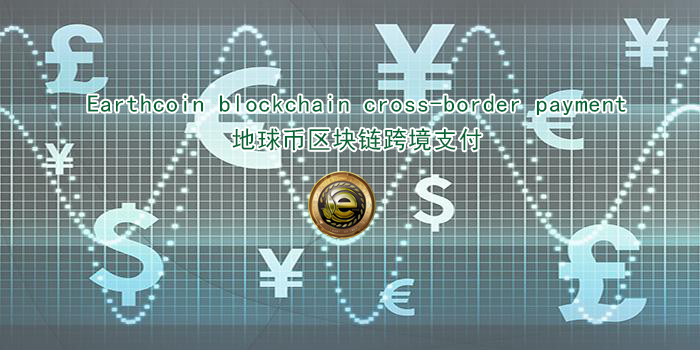 According to the official announcement of Pentax, through the pen and the friendly communication with the world currency, the earth coin and the quark currency, several parties unanimously decided that BJS will open the World Bank (WDC) at 20:00 on February 25, 2019 Beijing time. Earth Coin (EAC), Quark Coin (EAC) recharge business, open WDC/CNYT, EAC/CNYT, QRK/CNYT transaction pairs at 15:00 on March 1, 2019, open withdrawal service at 15:00 on March 3, 2019 Party announcement. Pens and join the three-currency red envelope draw. The community’s first Earthcoin game app has been put on the shelves, so stay tuned for new development apps. Have questions and welcome feedback with APP game technology, thank you, welcome everyone to test, safety first!